Following extensive negotiations on the meaning of the time-to-grant rule (TTG) in the last few months, the rules have been changed. Successful applicants may now be informed about the outcome of the evaluation earlier and have the preparation phase extended beyond the original three months, as long as the overall time-to-grant is still a maximum of eight months. For successful proposals, a maximum of eight months period from the deadline for the submission of complete proposals until the signature of all grant agreements under the same call (TTG – maximum of 245 calendar days). Horizon 2020 is looking to support a large set of early stage, high risk visionary science and technology collaborative research projects is necessary for the successful exploration of new foundations for radically new future technologies. The Commission considers that proposals requesting a contribution from the EU of between 2 and 4 million EUR would allow this specific challenge to be addressed appropriately. • Kick-starting an emerging innovation eco-system of high-potential actors around a solid baseline of feasibility and potential for a new technological option, ready for early take-up. Deadline for applications: 30th March 2015, with the internal deadline the 23rd March 2015. Please Contact Us as soon as possible if you intend to apply or have any questions! As part of the Horizon 2020 ICT calls, Innovate UK are organising two networking events, aiming to give opportunity to find out more about the different calls, gain key insight into current EU positions and have opportunity to discuss current and future projects in each field. 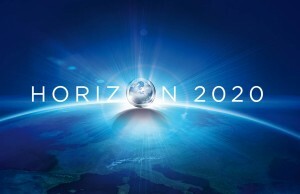 The Horizon 2020 ICT 30 call has opened, with €51M available for large projects and coordination action in Internet of Things and Platforms for Connected Smart Objects. ICT 30 cuts across several LEIT-ICT technological areas (smart systems integration, cyber-physical systems, smart networks, big data) and brings together different generic ICT technologies and their stakeholder constituencies to develop technological platforms which will have a strong influence on the way in which we live and work. This networking event will offer insight into how the H2020 process works, provide key details of the call, allow you to meet representatives of the PPPs and have the opportunity to flag your interest by presenting your credentials and/or outline project proposals.